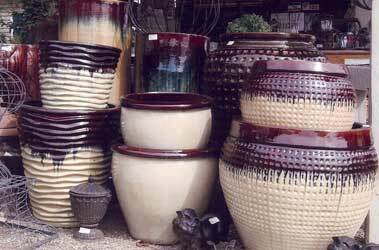 Did you know that pots for outdoors made in Vietnam are some of the strongest in the world? 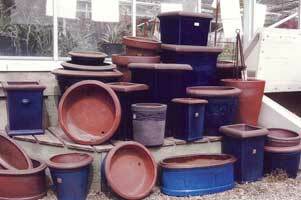 Here at Vale's Greenhouse we sell only containers made in Vietnam because they are able to stay outdoors year round. Raw clay from a riverbed is unearthed, mixed with sand and ground to get smooth. Ready clay is cut into 10-13 mm thick and formed in plaster moulds or formed by hand using techniques past down through the years. The dried green pots are fired in wood heated kilns at 1200 - 1250 degree Celsius for 6 to 8 days continuously, and then cooled for 5 days. 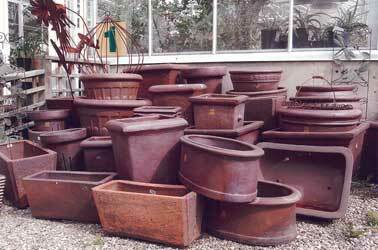 It is this process that makes these pot very durable to the Canadian Winter. 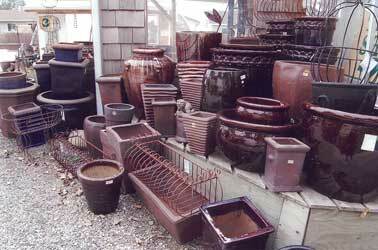 This high-fired stoneware is non-porous and can be left outside in all weather conditions. 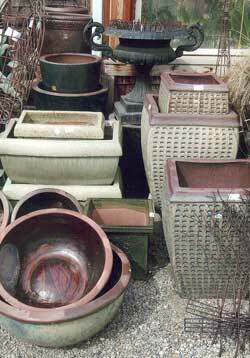 When choosing containers for peculiar spaces keep in mind several things. 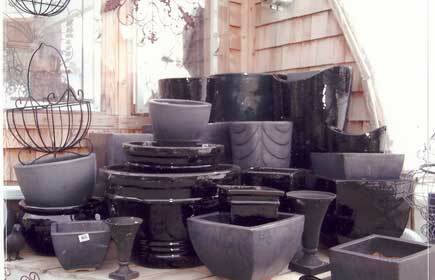 Large containers do not dry out as fast, small containers look better grouped in clusters or lifted on small risers. We realize that our customers have a vast range of containers needs and we are sure that you will be able to find what you are looking for at any time of the year.